Viking’s position in the luxury yacht sector continues its impressive ascent with the announcement of our latest entry, the 93 Motor Yacht. A deserved tribute to the continuation of our more than half a century of boatbuilding expertise, the 93 MY will reign supreme with outstanding quality, elegant accommodations and enviable performance surpassing any motor yacht in its class. 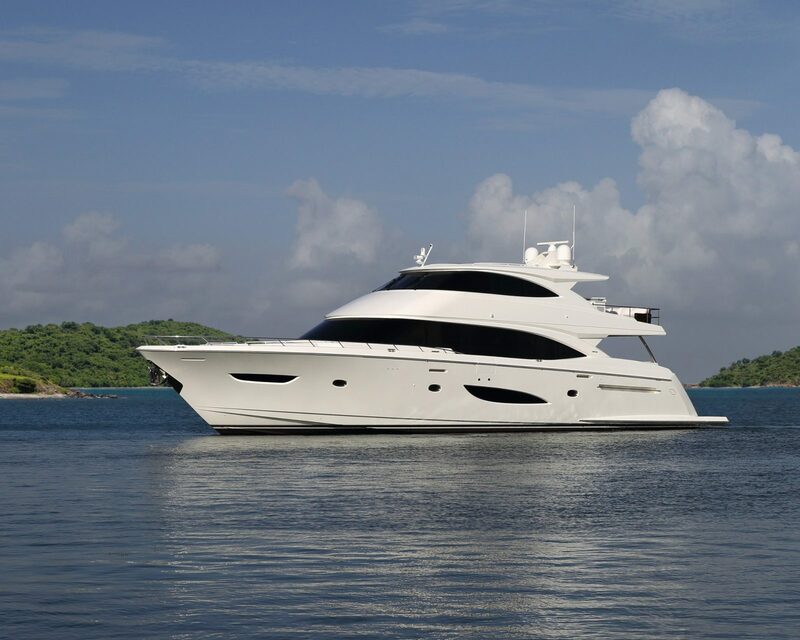 Designed for the experienced yachtsman whose quest for wanderlust is yet to be ful lled, the Viking 93 MY will exceed those expectations and deliver outward bound horizons with style and functionality. 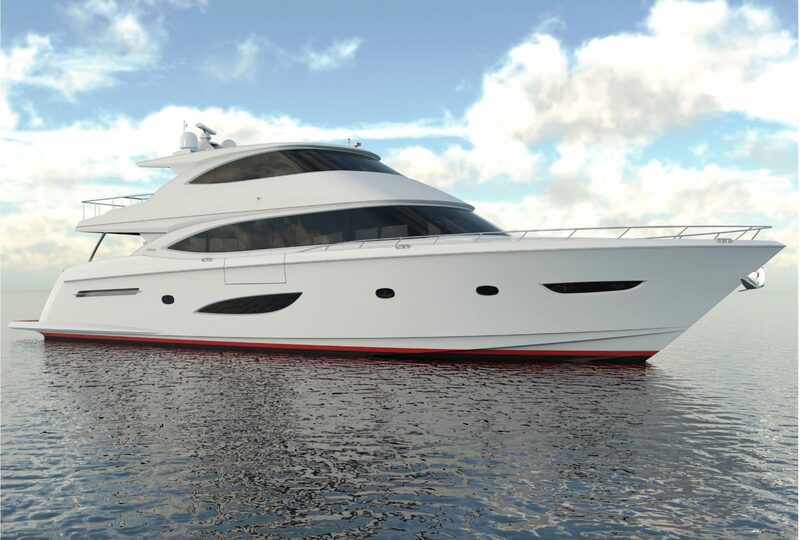 The exterior pro le is both sleek and timeless with an inspiring sheer complemented with artfully shaped window lines throughout the yacht’s tri-level form, and an enclosed bridge that is deftly proportioned to add beauty while providing outstanding visibility. Discerning intentness follows suite throughout the interior. 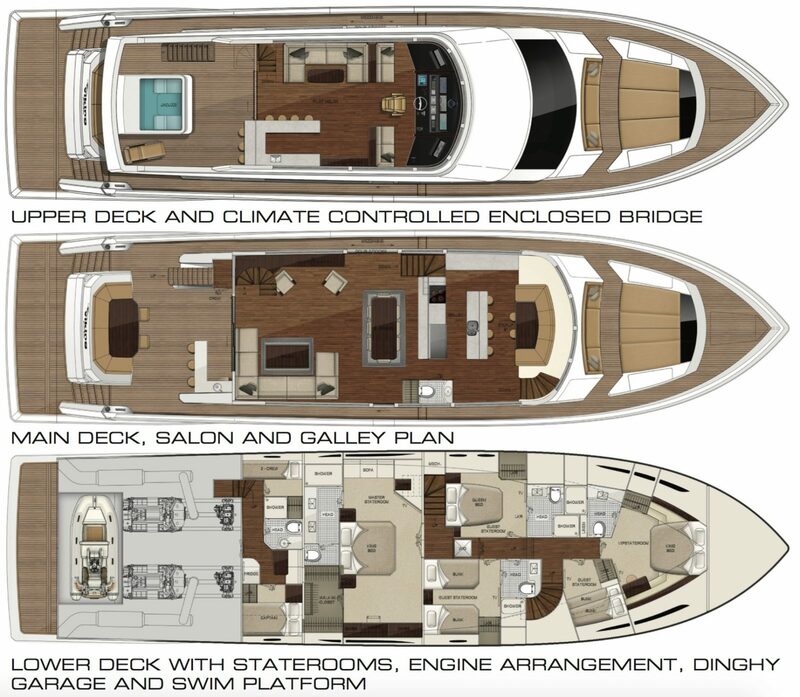 On the main deck, the main salon entered through a polished stainless-steel framed sliding glass door is a sociable achievement, along with an intimate and formal dining area. The galley has the avor of a country kitchen with an island and casual dining area forward bathed with natural lighting. On the teak planked after deck, a wet bar and the U-shape table provide additional amenities for relaxing and al fresco dining. Dual teak planked staircases lead to the swim platform. Below, the ve-stateroom arrangement includes a full beam master suite. Two additional staterooms provide comfortable accommodations for a crew of four. The enclosed bridge accessed from the salon and the lower after deck offer enticing opportunities for relaxing and unobstructed water views. A forward command station is out tted with navigation and communication equipment from our subsidiary, Atlantic Marine Electronics, for the ef cacy of turnkey delivery. Abaft the helm area is a second salon with entertaining and refreshment areas. Wide and secure walkways enhance mobility around the main deck for line handling and anchoring. 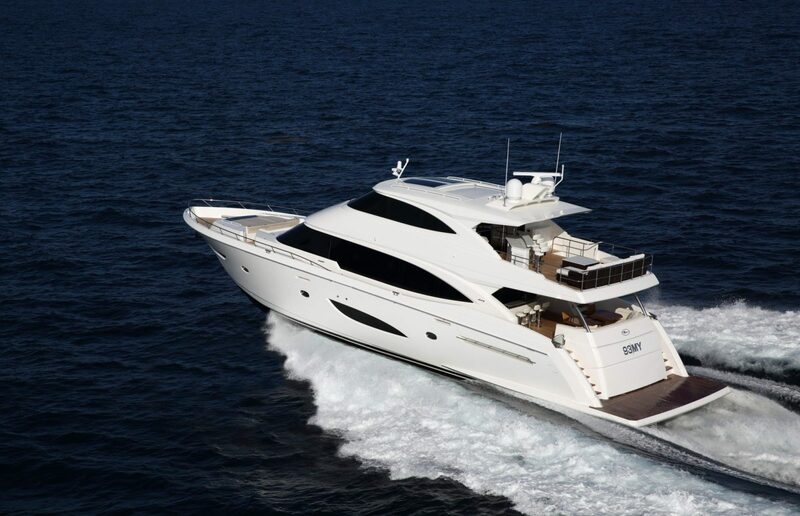 Thanks for your interest in 93 Motor Yacht. Please fill in the form below to send us a message and we'll be in touch soon. Or you can call us on +377 9770 3136 and we'll be very happy to talk with you.